Sometimes it all just comes together. I won’t bore you with all the behind-the-scenes details of how a Boston trio came to find our series and the twists involved in us getting the Memphis debut of Lula Wiles together, but it involves a lot of coincidences and some mutual music-loving friends. The point is, there’s something a little magic about these three. 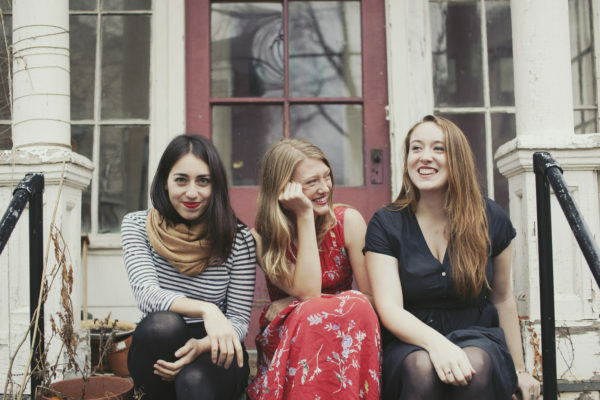 All Berklee-trained, Ellie Buckland (vocals/guitar/fiddle), Isa Burke (vocals/guitar/fiddle), and Mali Obomsawin (vocals/bass) take turns leading and lighting up their swaddle-tight harmonies and lucid instrumentation. Their songs are clearly evocative of deep folk tradition, but with youthful irreverence and innovation. Hearing them doesn’t sound like a retread – it’s a rebirth. LULA WILES SOUND GREAT! HOW CAN I HEAR THEM? The show will be Wednesday, October 24th with doors opening at 7pm and music starting at 7:30. All tickets are $20, general admission, with 100% of sales going to the artist, as always. You can go ahead and get them now. We’ll be at 11 W. Huling in Downtown Memphis. We don’t serve anything harder than LaCroix; BYOB is allowed but you gotta act right.